The union minister noted that the original Constitution (unamended) in its Preamble mentions equality of opportunity and justice for all whether political, social or economic to be ensured by the state. The finance minister further listed out measures taken by the present government for the upliftment and economic empowerment of the poor. NEW DELHI: Finance Minister Arun Jaitley Friday said the 10 per cent reservation for economically weaker sections in government jobs and educational institutions does not contravene the basic structure of the Constitution and termed the move the single greatest recognition for the poor in the general category. He also accused the main opposition party Congress of only paying "lip sympathy" and grudgingly supporting the Constitution Amendment Bill, passed by Parliament earlier this week. Caste in India was considered as a key determinant of either social or historical oppression as in the case of the Scheduled Castes and Scheduled Tribes or a determinant of social and educational backwardness as in the case of the Other Backward Classes, he said in a Facebook blog. "Poverty, however, is a secular criteria" and it cuts across communities and religions," he said adding that "poverty as a criteria for a carve out does not in any way contravene the basic structure of the Constitution". The Preamble expresses the intent of the Constitution framers, he added. "It is an aid to the interpretation of what constitutes the basic structure. Nor does the carve out amongst the general non-reserved categories for 10 per cent of their poor in any way get restricted by the 50 per cent reservation embargo placed by the Supreme Court," said the senior BJP leader. In the Indra Sawhney case, Jaitley said the Supreme Court had categorically mentioned that 50 per cent criteria applies only to the caste-based reservations envisaged in Article 16(4) of the Constitution. Nonetheless, the Prime Minister's decision to force an agenda for poverty based reservation is "the single greatest recognition/concern" for poor across the general categories and the need to eliminate poverty. "The principal opposition party showed only lip sympathy for the measure and grudgingly supported it while poking holes in the same," the minister said. He also highlighted other government's initiatives like housing for every rural poor, universal health scheme - Ayushman Bharat, and interest subvention, for economic upliftment of the poor. On relief measures for the middle class, Jaitley said that in the last five years, not a single tax has been increased, GST has been brought down on most commodities, and income tax relief has been provided. Commodities have been made cheaper, even though the revenue sacrificed now after the rates revision would be close to Rs 1 lakh crore, he said. 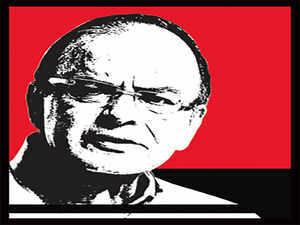 "This is the first time that during the five-year tenure of a government a Rs 2 lakh crore annual tax rebate for both direct and indirect taxes is given to the middle class tax payer without a single tax being increased," Jaitley said. "There is a method for economically empowering the poor. Their purchasing power has improved. This helps trade and businesses which impacts positively on the economy. "This is the first five year tenure of a government where India has consistently remained the fastest growing economy in the world," he said. This indeed helps every Indian – the poor, the neo-middle class, the middle class and, of course, the large business community, the minister added.